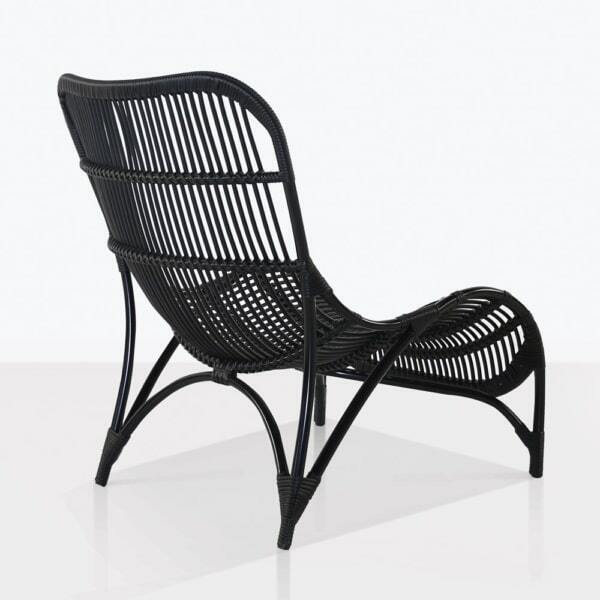 The outdoor Elle relaxing chair exemplifies modern comfort with an intriguing and glamorous silhouette. Not only is it stunning from every angle, it is also a dream to sit in. 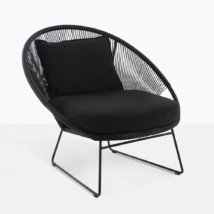 The Elle chair is perfect for relaxing in your outdoor space. 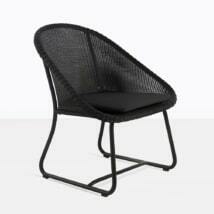 It is made with powder coated aluminum and outdoor wicker. These materials are excellent for outdoor use. W30" x D32" x H38"
The Elle relaxing chair has a unique style and design. The curves of the powder coated aluminum frame add a feminine touch, while the crisp black color gives it a strong sense of sophistication. We love to imagine this chair next to lush green palms overlooking the water. Or nestled in your garden with one of our accent tables for the perfect place to sit and enjoy afternoon tea. 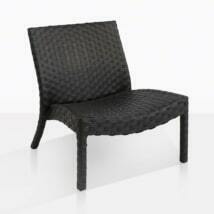 Or pair it with your modern outdoor seating collection to add a dynamic shape that begs to be talked about. This chair is large, but not oversized. The back height is taller than most relaxing chairs. It gives you the feeling of being able to completely relax and lean your head back. 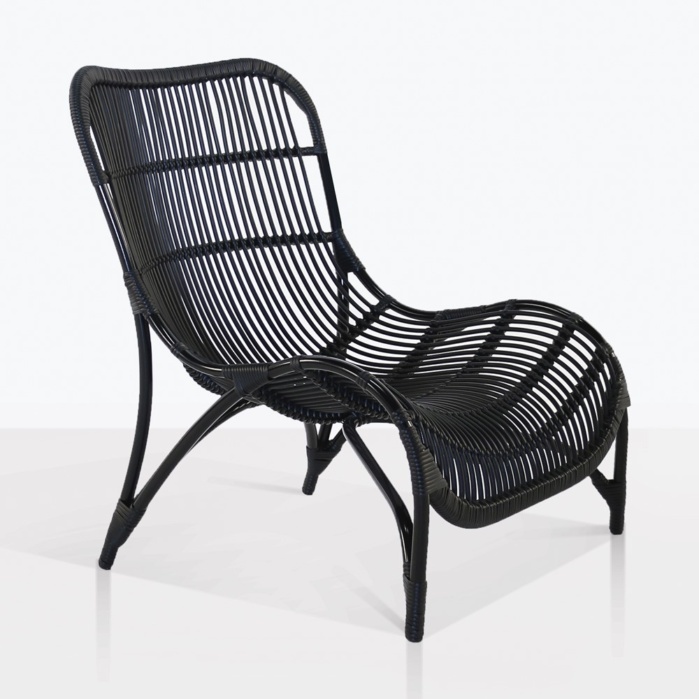 The smooth texture of the powder coated aluminum frame and the outdoor wicker makes for a very comfortable seat. Because of these materials, this chair is on the lighter side and easy to move and rearrange. But it is also very strong and durable. The wicker is precisely wrapped around the frame. 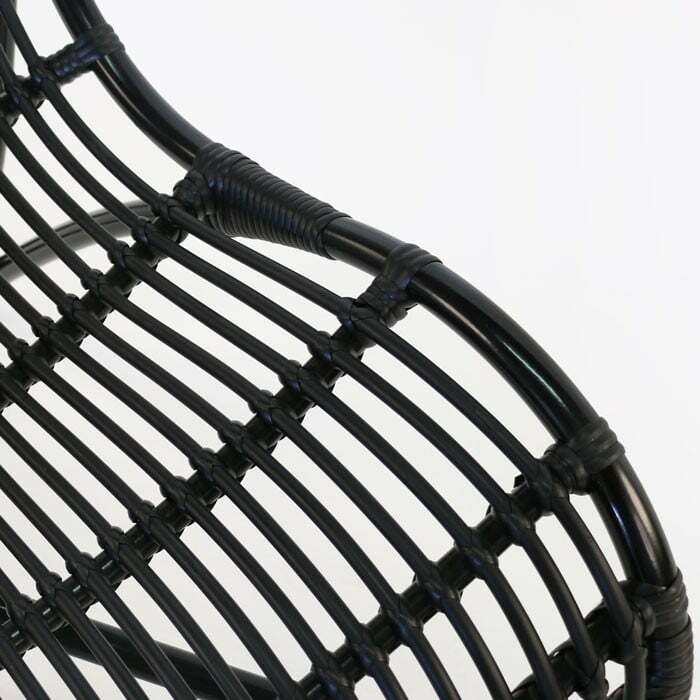 See our close up image to see the fine quality craftsmanship. 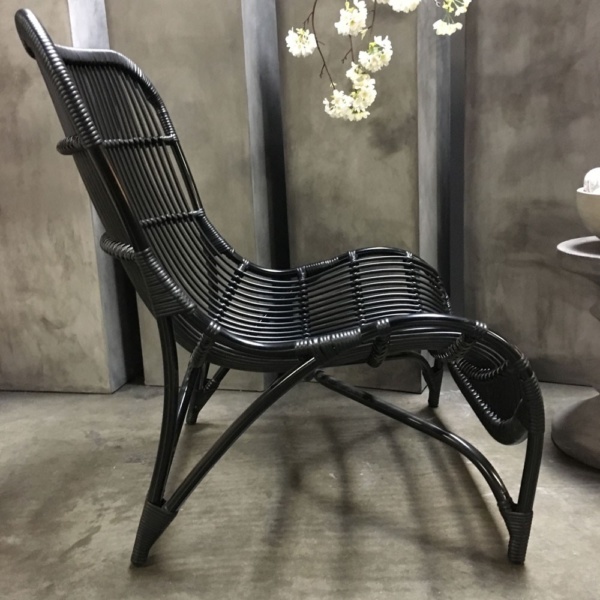 We offer so many different options for outdoor relaxing chairs here at Teak Warehouse. We are sure that we have something that will suit your needs, whether it is glamorous like the Elle chair or more classic like our Aaron chair. 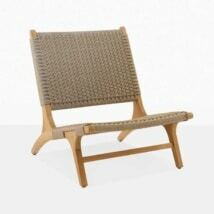 We like to pair our unique outdoor chairs with a number of our a-grade teak seating collections. Mixing materials can be a great way to create a unique style that is all you. If you have any questions or need help planning your outdoor space, don’t hesitate to call us. One of our sales staff members will personally answer the phone. Enjoy looking around our website. We look forward to talking with you!